Medical Massage or Clinical Massage works to improve conditions or pathologies that have been diagnosed by a Medical Doctor or Physician. Steamboat Therapists work directly with Doctors in the surrounding area. We love a good challenge! Steamboat Health and Wellness is a Credentialed Clinic with Premera, Regence and Uniform Health Insurances. Our Practitioners can also provide coverage to Aetna, Cigna, and other Health Insurance patients, as well as patients with L&I and Auto Insurances. We are trained to apply the most effective techniques to speed recovery from a variety of conditions, including Neck, Shoulder, Back and Hip Pain; Sprains and Strains; Migraine Headaches, Tension Headaches, Whiplash, Carpal Tunnel and Thoracic Outlet Syndromes, Pre and Post Surgical and many other Medical Conditions. We understand the complexities of treating Chronic Pain, Auto Accident, Sports and Work-related injuries. 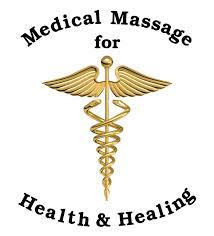 Please ask your Doctor for a Medical Massage Referral. With your Doctor’s Referral, most Health Insurances will cover Medical Massage because it is a very effective way to promote healing. We will process all the billing for you, so you don’t have to hassle with that. If you have any questions about your Insurance Coverage or would like to make an Appointment with one of our Medical Massage Practitioners, please call us at 360.866.6479.